Beacons are fast gaining steam as the newest tool in a business’ repertoire to introduce micro-location based messaging and personalized content to indoor as well as outdoor locations.The terms ‘Beacons’ and ‘iBeacon’ are often confused with each other and used interchangeably. You could refer to our Beacon FAQs blog to understand these terms better. With a plethora of beacon hardware options available in the market, it’s common for businesses to be confused about choosing the right beacon hardware for their business. We have tried our bit in helping them make this decision, through our Webinar on ‘How to choose the right beacon hardware for your business’. View the slides here and watch the video here. In this post, we will discuss beacon deployment and management. Once you have purchased beacons, how should you go about deploying them? Where should beacons be placed? Should they be placed such that they blend well with the aesthetics or can they be left noticeable? What are the tools required for beacon deployment? How do I account for interference from other devices? What about beacon hardware management. How crucial is it? 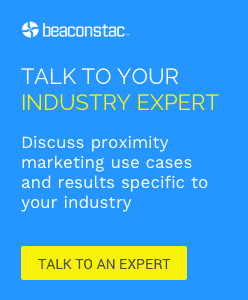 Is managing beacons a big deal? How do I figure out when a beacon stops working and needs to be replaced? How can I track data coming from multiple beacons? How do I combat beacon theft? Find answers to all these questions and much more, in our webinar on “How to deploy and manage a fleet of beacons”. In this webinar, we discuss beacon deployment and management in more detail and talk about issues businesses face while deploying beacons and managing them. We, at Beaconstac have been involved with beacon projects across industry verticals ranging from retail to museums, theme parks, malls, hotels and restaurants to airports. Through our Beacon Primer Webinar Series, we aim to help businesses at every stage of their beacon strategy. From procuring, to deploying and managing beacons, to integrating iBeacon technology into your app, our webinar series is a quick start guide for devising and implementing a profitable beacon strategy for your business.